SPOILERZ FOR BIOSHOCK INFINITY AND BEYOND: THE RECKONING There is some video game adage that I have heard a few times that goes something like this: a video game gets more testing in the first week of release than it does through the entire development process. Call of Duty sells millions of copies in a couple weeks, and if everyone plays a level for an hour, that’s a million hours of testing (which sort of blows my mind.) There’s no way that a QA team could catch every single bug or slight error–the sheer volume of testing that is going on in the hands of consumers eclipses the efforts of an entire trained team. I bring up the testing because there’s also another “stress test” that goes on immediately after release: thoughts about the plot. 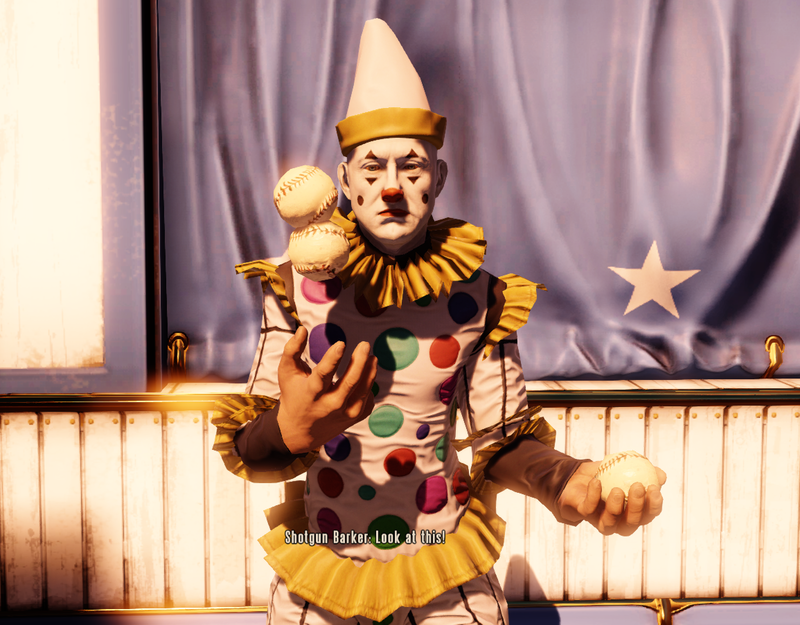 Sparky Clarkson’s recent post picking through the end of Infinite in detail had me thinking about this: Ken Levine and his writing team must have a clear vision of what the multiverse of Bioshock Infinite looks like. There has to be a map internally at Irrational. At the same time, how the “branching” system of constants, variables, and tears work is explained in such a piss poor manner that a huge amount of discussion of the game is just about working out this system of worlds. Back to the testing: in the hours after release, the plot of Bioshock Infinite was also thought about more than it ever had been in-house at Irrational. This is always happening, of course. When a game is released to critical ire or love, what “works” outside of the development environment is immediately picked up on (and the opposite happens, too.) The case of Infinite is especially interesting, because it isn’t a moment of the general public saying “no, X does not work.” Instead, it is a moment of a collective mind coming together to think through a (maybe purposefully) complicated narrative. Ending: I am very interested by a game that presents itself as brilliant and immediately falls apart in the face of any real scrutiny of its plot. Is this a product of AAA design and development? Is it possible to write large-scale complex narratives across and through designers, writers, artists, and team leads? Or is it always necessarily fractured because of the scale of the assemblage, of the economics, of the problems? I feel like this is a very Daniel Joseph post. This entry was posted in Video Games and tagged art, bioshock infinite, daniel joseph, ken levine, video games. Bookmark the permalink. Do you think that’s how Levine & co. view/present the game? I’ve always gotten the impression that, whether a cop-out or not, he views his stuff as thrillingly low-brow. In the same way that I don’t think Nolan ever felt Inception was more than a cool idea made into an exhilerating spectacle, my sense is that much of Bioshock’s pretension is actually foisted on it by over-zealous fans rather than the people who made it. I cannot watch Levine talk about Infinite in interviews and not get the same impression of him that I do of Nolan–“this game is going to BLOW YOUR MIND.” There’s also a solemn tone to the whole thing that drives that home for me in the game itself; we get to the end of Infinite and we are supposed to feel something particular about loss and responsibility and beauty at the hands of this huge system of stars and lighthouses. I think the game (and the company) takes the game super seriously.